No one knows for certain who lays claim to the first Christmas tree but few dispute that it was in the area which is now Northern Europe. When searching for the historical beginning of the first Christmas tree, one must go very deep into the past. Just like Santa Claus one finds that the first Christmas tree was combination of many different facts, legends and customs. The first documented use of a tree in a winter Christmas celebration was in several locations in Northern Europe including Estonia, and Latvia, in the year 1510 according to documents from the Blackheads Fraternity chronicles and from various sources in Germany and the UK. Come and experience the 500th anniversary of this historic tradition. The Christmas Tree is a symbol of hope and happiness and stems from pagan traditions that the Evergreen tree is a symbol of the celebration of the renewal of life. Throughout the world, the celebration of Christmas with the display of a decorated Christmas Tree has large significance well beyond the economic shopping sprees made famous throughout the United States and other wealthy countries. 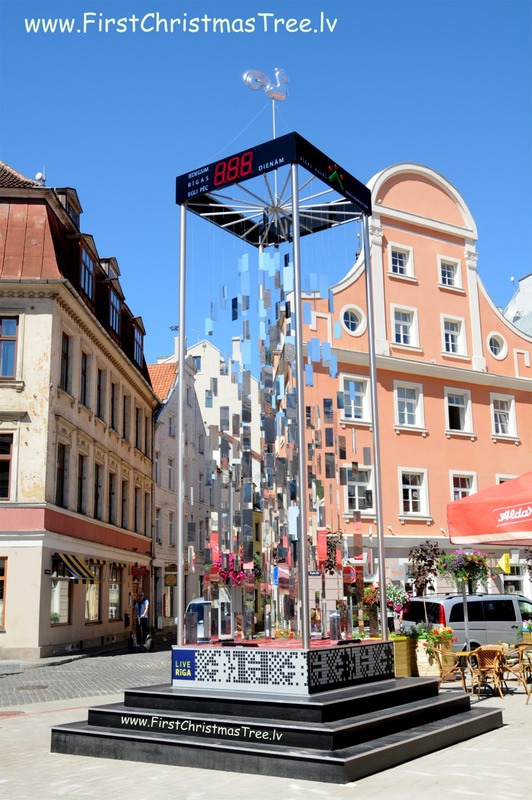 Patricia LTD announces that they are expanding the legend of the First Christmas Tree project to include Northern Europe with a particular focus in 2010 to the Christmas Market and related activities in Tallinn, Estonia. According to Mr. Bernhard Loew, General Manager of the Schlossle hotel chain, if you like handicraft and not kitsch, and Christmas spirit in a medieval setting, then Tallinn is the place to visit. 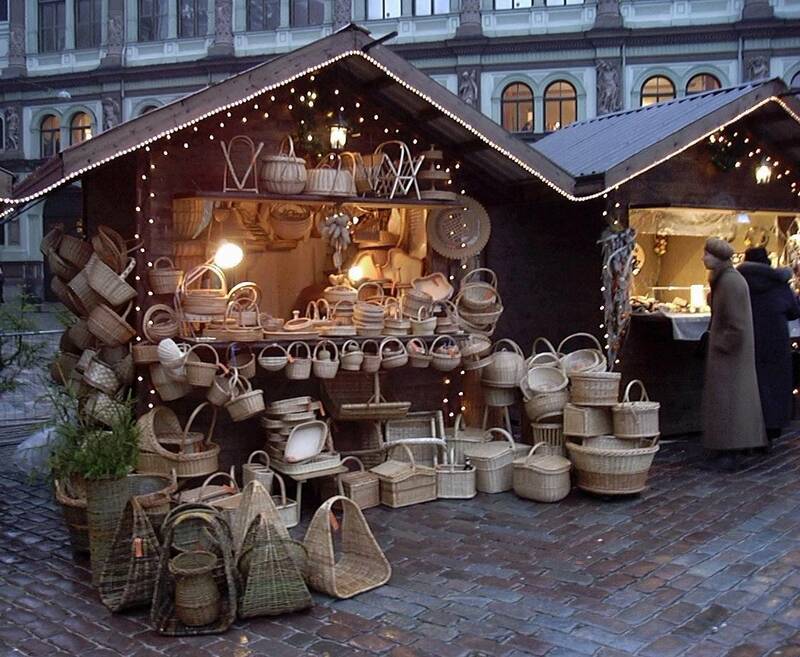 Mr. Loew was actively involved in the creation of both the Riga and Tallinn Christmas Markets in the early 2000's. "The Christmas tree brings our families together and unites us in celebration," said Jami Warner, Executive Director of the American Christmas Tree Association. The Christmas tree is symbolic of an enduring tradition that is 500 years old and counting," she said in her organization's recent Happy Birthday Greeting to the First Christmas Tree. 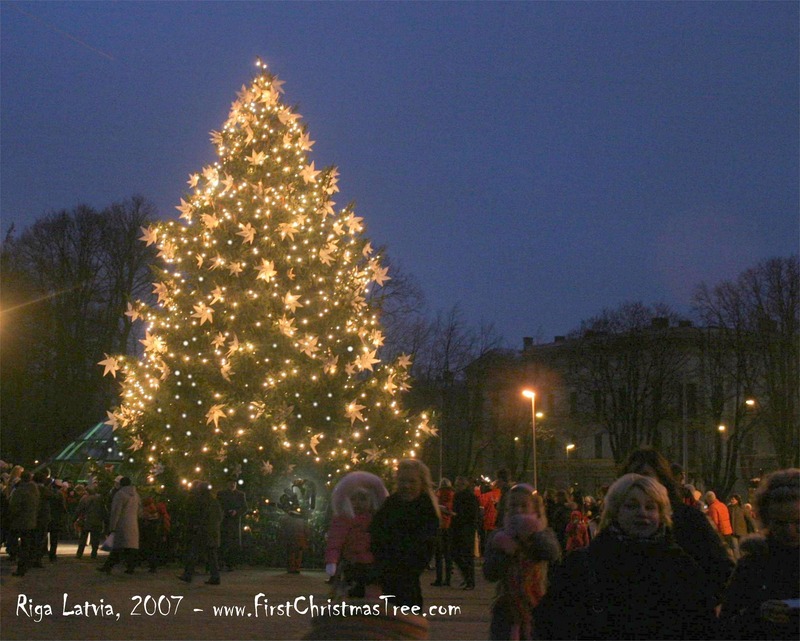 No one knows for certain who lays the exact claim to the first Christmas tree; but, few dispute that it was in the area which is now Northern Europe including Latvia and Estonia. The first documented use of a tree in a winter Christmas celebration was in several locations in Northern Europe, in the year 1510 according to documents from the Blackheads Fraternity chronicles in Riga Latvia and from various sources in Germany and the UK. As the Brotherhood of Blackheads Fraternity operated out of the Blackheads House (Estonian: Mustpeade maja, Latvian: Melngalvju nams, German: Schwarzhäupterhaus) in both Tallinn and Riga and that the purpose of the guild was to provide for efficient enforcement of inter-city trade, it is reasonable to assume that there was communication between both groups about methods of celebrating the Winter or Christmas Holiday. Countess Maria Hubert von Staufer of Christmas Archives International in the UK said in a 2002 email, The Riga tree reference and the Martin Luther Tree reference are two different references. The Martin Luther Tree was not the Riga Tree. She goes on to say, The Martin Luther Tree was several decades later. According to Mike Johnson, General Manager of the First Christmas Tree project, "The Christmas Tree is a symbol of hope and happiness and stems from pagan traditions that the Evergreen tree is a symbol of the celebration of the renewal of life. Throughout the world, the celebration of Christmas with the display of a decorated Christmas Tree has large significance well beyond the economic shopping sprees made famous throughout the United States and other wealthy countries." 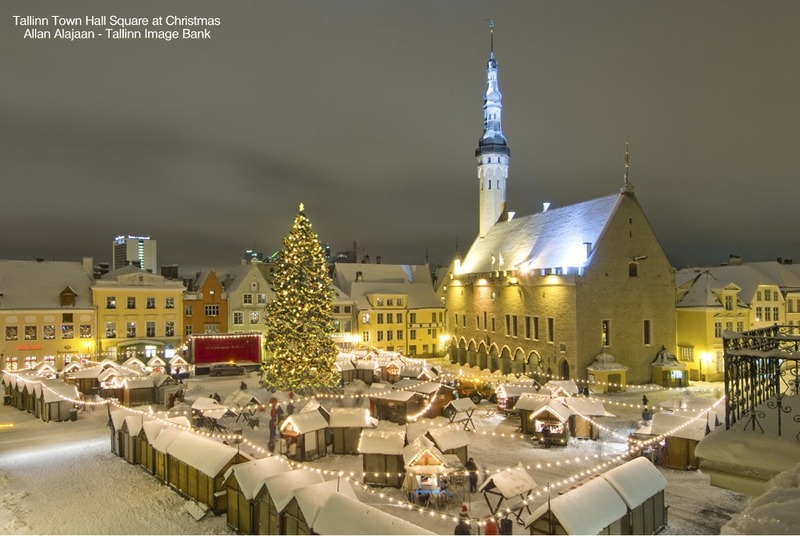 A visit to the Christmas Market in Tallinn Estonia or Riga would be an excellent way to participate in an medieval Christmas experience . There will be activities and shopping for all ages. Schedules of events and activities will be POSTED on the News BLOG. 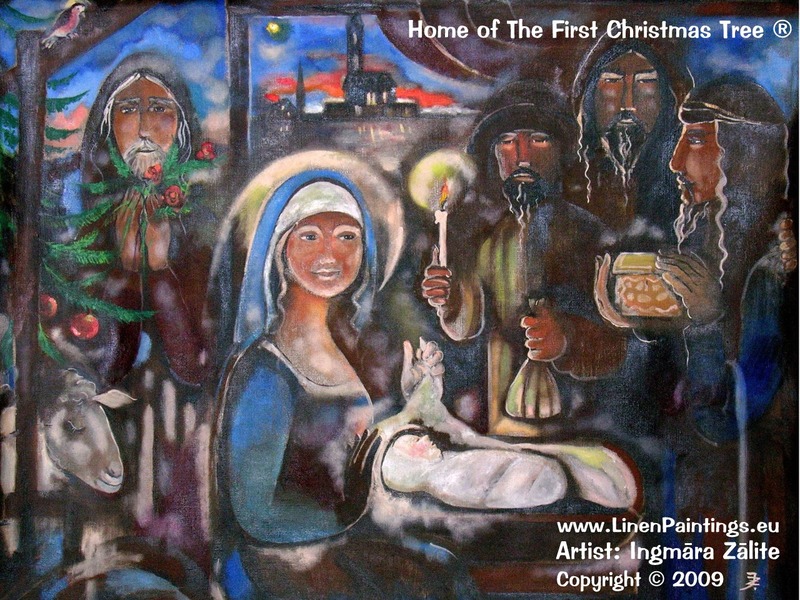 The exciting kickoff events are scheduled for the First Advent - last weekend in November. No matter your religion or location around the world. the First Christmas Tree project welcomes you to join in the celebration of life this winter Holiday season with a decorated Christmas tree. However, the First Christmas Tree project encourages you do so with a deep awareness of fire safety and concern for the environment. That does NOT necessarily mean that you need to have a Real Christmas tree. There are many alternatives and countless ways to properly care for your tree and safety. The USA's National Christmas Tree Association also has extensive information available on Holiday safety. Mr. Mike Johnson, is an American now living in Northern Europe, and is General Manager of the First Christmas Tree project for Patricia Tourist Office. Mr. Johnson, like Ms Elizabeth Gilbert author of the book "Eat, Pray, Love" and recently released movie with the same name, quit his executive job in the USA, traveled the world and transplanted to Europe eleven (11) years ago to experience a different way of life. Mr. Johnson has re-found his passion for the spirit of giving through the medieval Christmas experience. Mr. Johnson has performed extensive study on the historical aspects of the legend of the First Christmas Tree. Patricia LTD is the owner of two European Union Trademarks and currently has an US Trademark application in process. Patricia LTD is accepting inquiries for advertising on their sites and licence of their trademark for use on Christmas Tree related products and tourism programs.